Weaving just got fast and fun! 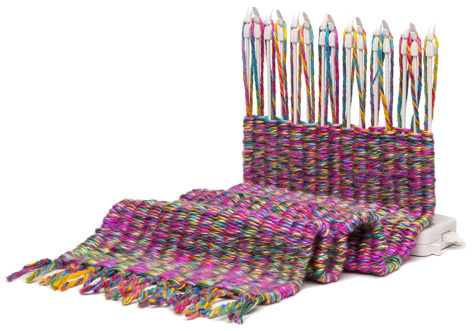 The ingenious new loom design with spinning pegs makes weaving simple and a perfect gift for crafters. It's simple to set up, it's simple to use, and it's surprisingly fast. Features a spinning loom with integrated pegs as well as 110 metres of colourful yarn. Please tell us what you think of the Loopdeloom Spindle Weaving Loom Kit by Maps Toys.